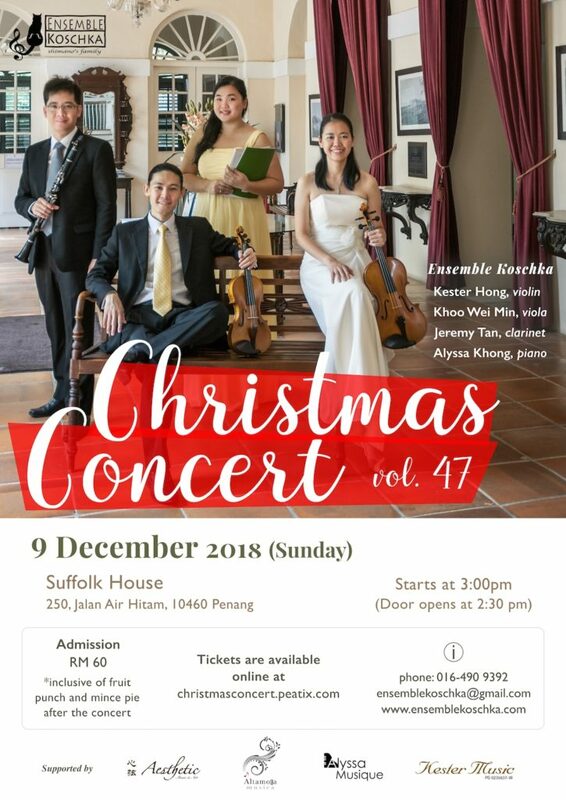 Join us for an elegant afternoon at Suffolk House in a Christmas Concert by Ensemble Koschka. 250, Jalan Air Hitam, 10460 Penang. For any enquiries, click here to write to us.